Glastonbury, Conn., Jan. 14, 2019 – Mahalo Banking, a provider of omni-experience online and mobile banking solutions for credit unions, announced a partnership with Payrailz, a digital payments company offering smarter, predictive, proactive and more engaging payment experiences to banks and credit unions. Mahalo will offer Payrailz’ payment services a part of its digital banking offerings. Additionally, the companies will collaborate to integrate their open APIs for a seamless user experience. Consumers using Mahalo’s online or mobile banking platform will have access to Payrailz’s smart driven bill pay, A2A and P2P payments and bill negotiation features. 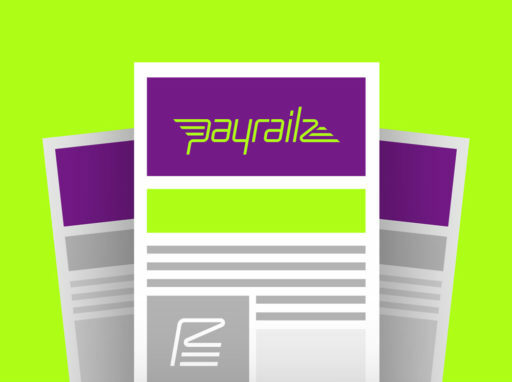 Payrailz’s unique use of AI in payments will aid Mahalo in providing the best user experience possible through its platform. In its search for a modern payment partner, Mahalo wanted to work with a company that shared similar values as well, as a shared vision of providing a truly unique experience for financial institutions of all sizes. The company’s sustained goal is to offer the industry great technology while providing optimum user experience and security while delivering first class service. Mahalo found these qualities in Payrailz and has chosen them to provide a smarter payments experience to financial institutions that are using Mahalo’s technology. Both Mahalo and Payrailz seek to empower individual financial institutions, particularly credit unions, and believe this partnership is a significant step toward meeting that goal. Providing financial institutions, a better digital experience through online and mobile banking, supported by a superior payments experience is crucial to transforming the industry and helping community institutions compete against the larger banks and non-traditional providers. Mahalo is highly focused on consumer experiences through all channels. Whether through increased security, deep APIs integrations, location-based travel notifications, and push notifications prompting members to take surveys, or now Payrailz’s smart payments experience, Mahalo’s technology offerings are always focused on members’ experiences. Mahalo Technologies, Inc. provides online and mobile banking solutions for credit unions. Based in Chelsea, Mich., the Mahalo platform is designed and built on superior architecture with deep integration to core processing, providing security and a robust feature set across all delivery channels for a true omni-experience. Mahalo banking is feature rich and price competitive to help all credit unions achieve a technology advantage in the marketplace. For more information on Mahalo banking, please visit www.mahalobanking.com or contact Denny C. Howell at dhowell@mahalobanking.com.